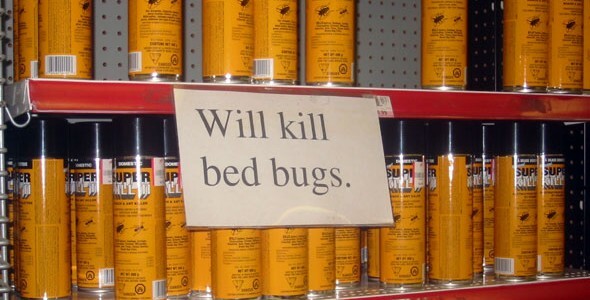 Bed bugs are among the most efficient hitchhikers. They can easily move across a room and hide themselves in clothing, luggage and other personal items. If this happens while traveling, you stand a chance of bringing these pesky parasites back home with you. The bloodthirsty critters can induce red, itchy welts and enough anxiety to make you reconsider your trip. Fortunately, there are a few precautionary measures that you can take to reduce the risk of a bed bug encounter on the road. These expert tips provided by professional exterminators will not only help you sleep better when traveling, but also give you peace of mind. Proper identification, through inspection of hotel rooms and careful packing and unpacking are just but a few measures that can help keep you do not remember I free from bedbugs. 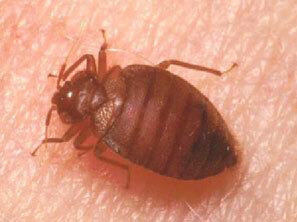 Your choice of luggage shouldn’t have many crevices or nooks in which the bed bugs can hide. A hard-shelled suitcase is therefore more suitable since it has fewer seams and folds. Moreover, you can also pack your belonging – shoes, clothes, toiletries – in sealable plastic bags which you would only open when accessing the items. Alternatively, you can wrap your entire pack in a trash bug to stave off potential infestations when in bed bug prone locations. Many people simply throw the suitcase on the bed or leave it zipped on the floor to avoid bed bugs. But this is not effective as bed bugs can get into crevices on the exterior of the luggage pack and hitchhike all the way back to your home. Instead, you should ideally place your baggage in the bathroom or on a luggage rack where bed bugs are less likely to access. Beg bugs routinely lodge themselves into folds, cracks, crevices and ruffles in areas frequented by humans. When you first check into your hotel room, pull the covers from the bed and inspect for bugs under the pillows and linens. Pay special attention to the sides and seams of the mattress, frame and box spring. Finally, check behind the headboard. When checking out thoroughly inspects your luggage even if you didn’t find any signs of bed bugs in the room. If possible, place your luggage and other belongings in a portable heating unit to eradicate any incident bugs. Coming home with even just a few bugs can be the precursor to a full-blown infestation. Thoroughly inspect your suitcase while outdoors or in the garage. If you rent an apartment, conduct your search in the bathtub, balcony or shower since bed bugs have a harder time crawling on smooth surfaces. Pay special attention to your clothes including the linings, seams and pockets and wash all of them in a heat setting o kill any previously undetected bugs. One of the white squirrels from TRINITY BELLWOODS PARK has died electrocuted. The squirrel has been found dead, hanging from hydro wires with his teeth clenched on them. The way he went was quite unfortunate since he was not lucky enough to die of natural death. Even though, one might not expect a squirrel to enjoy popularity after death, all the fuss created around this creature made him quite an iconic figure. Residents in the area of TRINITY BELLWOODS PARK seemed not to have noticed the presence of the squirrel while he was alive. There are materials proving the existence of squirrel such as photos, twitter accounts and Youtube videos, but people around the area don’t think he really existed. The owner of the WHITE SQUIRREL COFFEE SHOP, a place located close to the park where the white squirrel died, received lots of e-mails and phones from people curious to know more about the creature. One of the strangest e-mails the owner of the Coffee Shop received was from a family in Australia who told him that they dreamed about the white squirrel. The Squirrel lover, as people seem to perceive him after the incident, is rather amused by all the attention paid to him, declaring that he likes squirrel, but that’s all.